If you prefer relaxed dressing when it comes to fashion, you'll love this simple combination of a grey hoodie and ROLLA'S stinger skinny fit jeans. 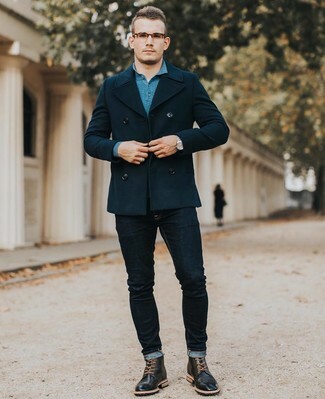 This combination of a navy pea coat and ROLLA'S Stinger Skinny Fit Jeans from Nordstrom is on the casual side but guarantees that you look dapper and truly stylish. For extra fashion points, introduce black leather brogue boots to this getup. If you're on the hunt for a casual yet sharp ensemble, reach for a brown leather bomber jacket and ROLLA'S stinger skinny fit jeans from Nordstrom. Both pieces are totally comfortable and will look great paired together. 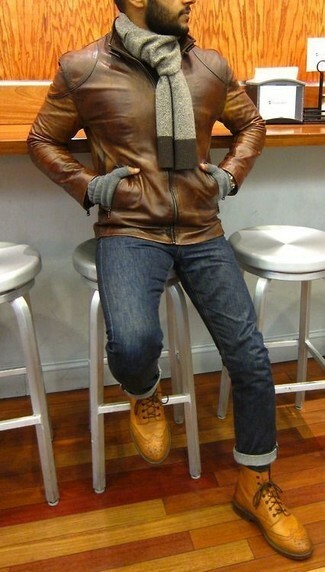 Wearing a pair of tan leather brogue boots is a simple way to add some flair to your ensemble. 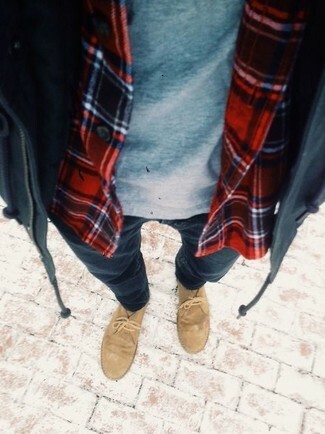 Reach for a navy parka and navy skinny jeans, if you want to dress for comfort without looking like a hobo. Black leather oxford shoes will bring a classic aesthetic to the getup. If you're a fan of comfort dressing when it comes to fashion, you'll love this stylish pairing of an olive parka and ROLLA'S stinger skinny fit jeans from Nordstrom. 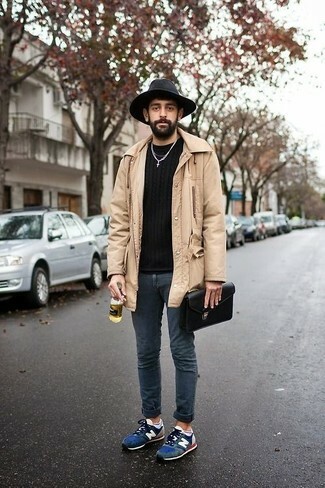 Let's make a bit more effort now and choose a pair of tan suede desert boots. If you're hunting for a casual yet dapper getup, make a navy overcoat and ROLLA'S stinger skinny fit jeans your outfit choice. Both items are totally comfortable and will look great paired together. 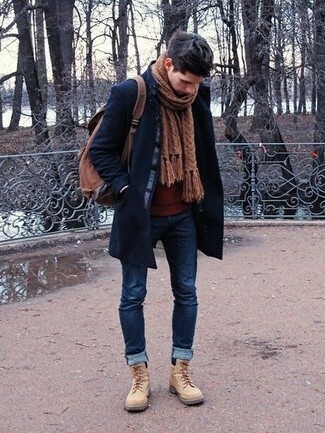 When it comes to footwear, this outfit is complemented nicely with beige suede casual boots. If you prefer relaxed dressing when it comes to fashion, you'll love this on-trend combo of a beige raincoat and ROLLA'S stinger skinny fit jeans. For something more on the daring side to complement this look, make navy suede athletic shoes your footwear choice. If you're a fan of staying-in clothes which are stylish enough to wear out, you should try this combination of a white and red print v-neck t-shirt and navy skinny jeans. You could perhaps get a little creative when it comes to footwear and dress up your getup with red low top sneakers. 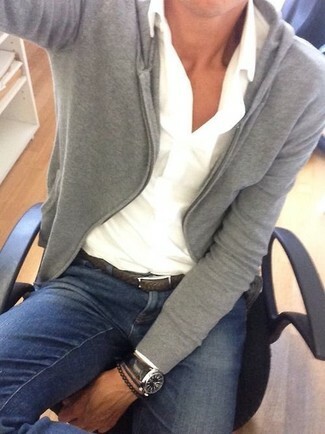 If you don't like being too serious with your combos, wear a navy blazer and ROLLA'S stinger skinny fit jeans. 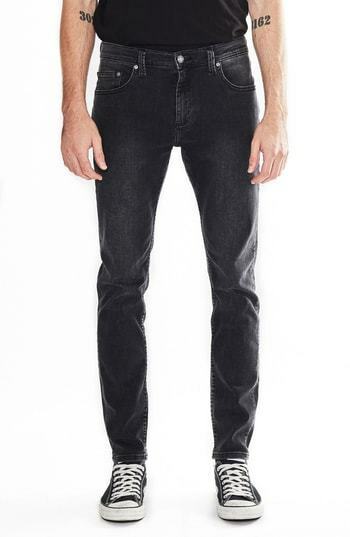 When it comes to footwear, this outfit pairs nicely with navy suede driving shoes.